$150 Off Your Flight and Hotel Package! Take $150 off your flight and hotel booking costing $2,000 or more. Offer valid until March 31st. Save an Extra 10% Off Select Hotels! Take an extra 10% off select hotels when you use this promo code. Offer is valid until February 17th, 2019. Take $75 off your vacation booking (excluding Vegas). Take 10% off of your hotel bookings when you enter this promo code at checkout. Minimum stay of 1 night, must be booked by September 30th for travel by March 31st. Save on Popular Ski Hotels! Save up to 35% off hotels in popular ski destinations when you enter this coupon code. Click to view all the hotels included in this promotion. Use this coupon to take $75 off of a vacation package. Minimum stay of 3 nights, must be booked by September 30th for travel by March 31st. If you have an account with Orbitz and are logged in when viewing travel deals the price you are shown will be discounted by an additional 10%. No coupon necessary! Browse the selection of flights that are $200 dollars or less for one adult fare on Orbitz.com. Vacation packages for less than $500! No promo code needed, take a look at the current deals for vacation packages at less than $500! Price does not include taxes and fees. All offers are limited time only, so act fast! Orbitz has several partner hotels where children get free lodging and meals. Blackout dates may apply. Take a look at the discounted flights from top carriers for US and international routes. You won't need a coupon. Orbitz has the best deals available from top US airlines. Booking a trip at the last minute? Take a look at the Last Minute Deals section on Orbitz for huge discounts on hotel reservations! Book an all-inclusive vacation from Orbitz.com at several top resorts and save! Want to travel but aren't sure where? Take a look at the weekly deals section of Orbitz for inspiration and savings! Hotels deals for $99 and less! Amazing savings on hotels from Orbitz, subject to availability and blackout dates may apply. No promo code needed! Use this coupon to take 10% off when booking a hotel. Some restrictions apply and possible blackout dates. For a limited time only you can use this promo code to take 15% off flight and hotel bookings made through the free Orbitz mobile app. 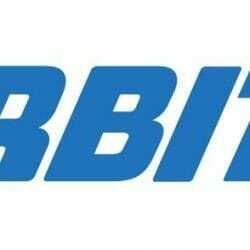 You can use this promo code to take 15% off of hotel bookings at Orbitz.com. Some restrictions apply. You can use this coupon code to take $200 off of vacation packages of $4500 or more, must book flight and hotel through Orbitz. Orbitz is promoting their free mobile app by offering $25 off any bookings when you use this promo code and book through the app. Use this coupon to take 15% off of hotel bookings at Orbitz.com. Blackout dates my apply. Must be booking for at least 3 nights, use this promo code to take $25 off of your Vegas flight & hotel. Get an extra 15% off of hotels in Las Vegas that are already discounted by 55% when you use this code. When booking vacation packages of at least $2000 you can take $75 off by entering this coupon at checkout. Planning a trip? Use this promo code to take 15% off your hotel reservation. Take 15% off of your next hotel reservation with this coupon code. Traveling around the world is a beautiful thing and even more so if your trip involves one of the world’s number one online travel companies, Orbitz.com. The owner of the Orbitz.com is Expedia, Inc. Whether you’re traveling around the country or abroad for vacation, business, or seeking to start by creating a corporate travel account, Orbitz.com’s got your back. From every detailed information about traveling to returning to your home after a successful trip, Orbitz.com handles everything passionately and professionally. In every destination worldwide, the agency deals with a broad range of flights, hotels, car renters, vacation packages, cruises and every type of destination activity to book for you. With Orbitz.com, you will travel the world in the flights of your choice for affordable air and train ticket prices, including discount hotels and so on. Besides, to make your trip even more fascinating, the company also offers its customers free groundbreaking Orbitz Rewards loyalty program. The program lets customers earn instant rewards on flights, hotels and other packages during their travel. Moreover, any customer who uses the Orbitz Rewards Visa® Card is entitled to earning even much higher rewards. With mobile apps, Orbitz.com makes a booking via smartphones and tablets easier and come discounts. First of all, why should you use coupon codes? It’s a way of saving as much as 10% of the cash you spend during your trip with Orbitz. You will be offered exclusive discounts on the hotel bookings and vacation packages you get with promotion codes from Orbitz. The money-saving coupons Orbitz offers you come only for a limited time. These coupons do not have any blackout dates, meaning that scheduling your trip even during holidays, is just fine. What if you want to combine this promotion code with the offers hotels give you? Orbitz allows you to combine it with any free nights you have, upgrades, discounts as well as dining and spar credits. So getting an Orbitz coupon, is an ideal and financially smart thing to do. On the page on “Secure booking,” click the link “promotion code or enter a coupon ” and paste the pro code. Wherever you are, you can reach Orbitz.com online to know anything about Orbitz, 24/7. Whether you are using a desktop, laptop, smartphone, tablet or any other device with internet access, just get online and connect to Orbitz.com on social media. You can follow Orbitz on Twitter, Facebook, Instagram where you can get travel advice and tips through the Orbitz Travel Blog. The refund policy of Orbitz.com depends on your original method(s) of payment. The company may spend about 24 hours processing your refund. But note that after the 24 hours, it may take up to 7 days for your financial institution to send the credit back to your account and about 2 billing cycles before showing the credit on your financial statement. Orbitz will also send a receipt email about their refund process. In case you have a credit card statement with a charge from a low-cost third party, then that third party will refund you and not Orbitz. If you paid for your whole booking with Orbucks, then you will be refunded in Orbucks. It is from the Orbucks portion, in your refund first, and the credit card portion, if need be, that the cancellation fees get deducted. Remember that a bigger number of activity bookings enjoy eligibility for a full refund but only if your cancellation comes before the deadline. However, certain activities are straight-up non-refundable.